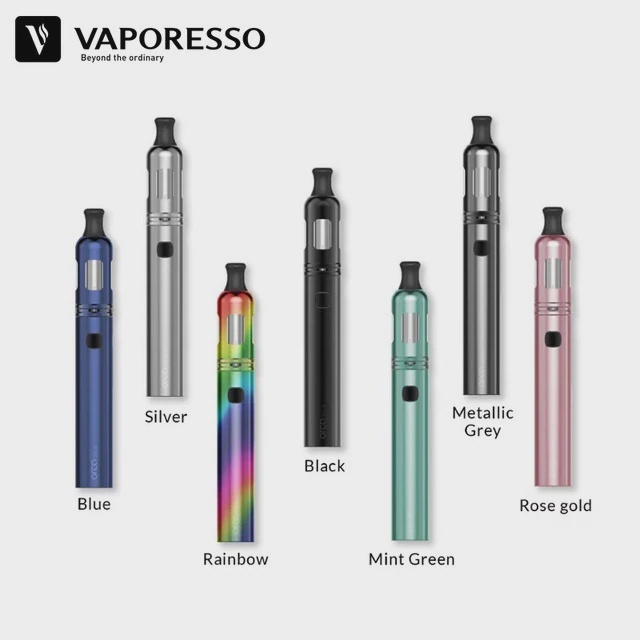 The Vaporesso Orca Solo kit is an EU/UK TPD compliant complete, pen-style vaping kit. The all-in-one Orca Solo vape pen stick mod comes equipped with an impressive 800mAh battery and a 1.5ml mouth to lung tank with a surprising amount of vapour production and a gorgeously crisp flavour. The quality build of this Vaporesso Orca Solo is one of the best on the market in line with all the products made by Vaporesso. We recommend this product, it is a very good all round stick mod and very competitively priced against cheap lesser quality brands.